Like any major marathons from all over the world, Run United 2 will hold an expo that will mark another milestone in running history of the Philippines. 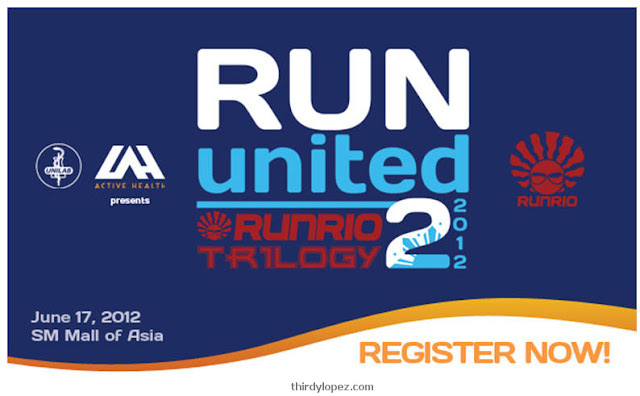 Race Kits may run out before June 3, 2012, therefore registration may end earlier than announced deadline. For in-store registrants, keep your registration receipts. You need to present it to claim your Race Kits at the Expo. 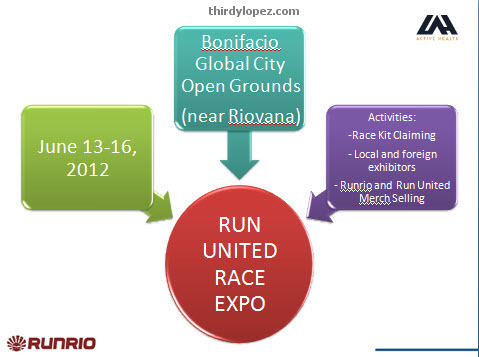 For online registrants, kindly print and present your confirmation e-mail to claim your Race Kits at the Expo.